The Sol Antillas Barbados Hotel enjoys an outstanding location on the seafront overlooking beautiful Magalluf Bay affording unrivalled views across the skyline from virtually every position. 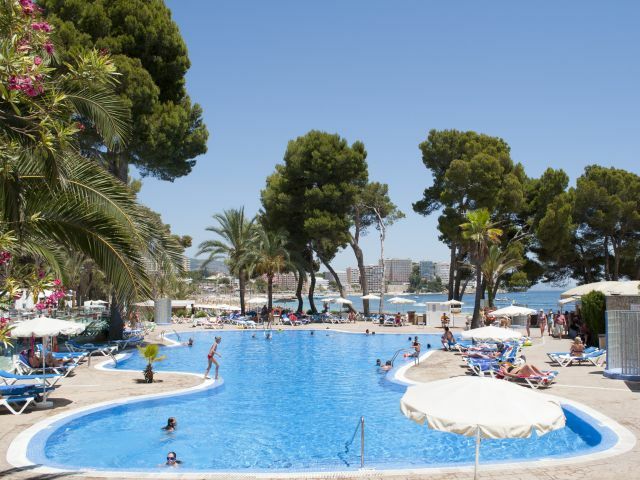 This hotel is part of the renowned Sol Melia chain and offers a wealth of amenities, services and facilities with something for all the party/family in a warm friendly atmosphere, ideal for the perfect gateway from it all holiday. All delivered by dedicated professional staff keen to help you make your stay in Majorca all that it possible could be. The resort centre is not far away where guests will find great cafes, shops, lively bars, restaurants and a vibrant nightlife. For a chance to join in the fun, grab a great value for money holiday just sit back, relax and book your next holiday at the Sol Antillas Barbados Hotel.